Some of you might be using Tor to host hidden services, and some of you might not even know what hidden services are. If the latter's you, do not miss this article. Why? Because you can host your websites and services on the I2P darknet. It's safe and secure—it's anonymous. If you're not quite sure what I2P is exactly, check out their site and my darknet series for a little more background information. For those of you familiar with the Tor network's hidden services, setting up an I2P eepsite will be easy. In a nutshell, you need to pick a name, then edit all the configuration files required for your site. Finally, you simply turn on and announce your site to the network. Everyone who wants to get their content up and running quickly can follow these simple steps. Your I2P router maintains a list of addresses it has located on the network. This list is by no means all of them, but before coming up with a name for your site, you should check this and see if it is already taken, or if there's something significantly similar. That long string of letters and numbers under Destination is the eepsite key. Eepsites in I2P are addressed using a 'key', which is represented as a really long Base64 string. The key is somewhat analogous to an IP address and is shown on your eepsite's I2PTunnel configuration page. Looks a lot like a normal web server, doesn't it? This is the root directory for any files you need to host your site. Do you want SQL? Go ahead. Do you want to write a ton of it in PHP? No problem there. The key difference between hosting a site on I2Ps darknet and the normal Internet is no one knows where your site is hosted from. Everything else works just as you would expect. Taking a look at the index.html file, we see it's partially set up and ready to go. This is where we will 'tell' I2P about our eepsite. Right now, it runs, but is only visible to us. Let's take a peak at the I2P Tunnel Manager for our eepsite. Most of these options are self explanatory. You can add your site's name and description. You can leave the more advanced options at the bottom alone for now, unless you know what you are doing there. Step 5 More Address Books! Now we want to add our eepsite to an I2P address book hosted by a site such as stats.i2p. That is, you must enter your eepsite name and key into a web interface on one or more of these sites. Here is the key entry form at stats.i2p. This lets other people find you in the wild. Again, your key is the entire local destination key on the eepsite i2ptunnel configuration page. Be sure you get the whole thing, ending with AAAA, and don't forget to click add a key as well. Check to see if it reports that the key was added. 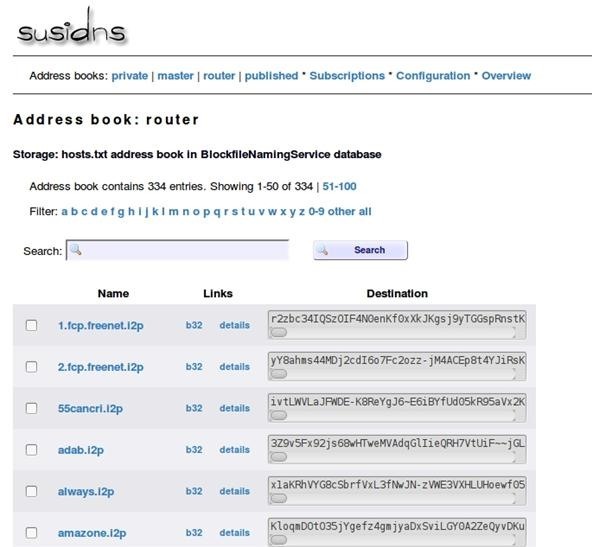 Since many routers periodically get address book updates from these sites, within several hours, others will be able to find your website by simply typing yoursite.i2p into their browser. Hosting a site on the I2P darknet allows you a level of anonymity not achieved with hosting on the normal 'clear' Internet. You can be flexible with your machine as well, being that there's no hosting to buy and names to pay for. Questions with the setup? Concerns about it? Leave us a comment below or visit our forum! I am new to I2P and want to set up a contact form(php) in my new eepsite. Please guide me to install php in my I2P and configure the same.